If you want happiness, success, wealth, health and vitality fast and effortlessly, this book is for you. 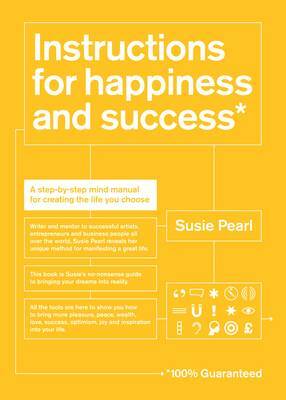 Instructions for Happiness and Success* is a mind manual for living a great life. It is a guide to bringing your desires into reality using laws of the universe that never fail. This book is a power-packed manual for anyone wanting to improve their life. It is a blend of ancient wisdom and new science, backed by the latest mind research. It has powerful techniques with a 100% success rate when used correctly. Celebrities, entrepreneurs and top business leaders are learning this method to boost their happiness and success. It is a simple, fast and foolproof system. Designed as an interactive personal workbook, Instructions for Happiness and Success* is divided into three sections: Part A How it works - explaining the combination of ancient wisdom and modern science that makes this method work so easily; Part B The instructions - a set of simple instructions to bring you positive manifestations using the powerful CREATE system; and Part C, The tool kit - power-loaded techniques for creating happiness, abundance and wealth. With its unique mix of wisdom, instructions, practical exercises and stunning design, backed up with ground-breaking audio downloads, Instructions for Happiness and Success* opens up infinite new possibilities in this increasingly popular field.